It was a big night for Issue 8 supporters as Hamilton County voters agreed to a five-year, quarter cent sales tax to fund repairs to Union Terminal. The tally in the unofficial vote on Tuesday evening was 143,130, or 61 percent, voting for the levy and 89,972, or 39 percent, against. Museum Center CEO Doug McDonald says, "It's thrilling because Hamilton County voters have really validated what we've always believed, this is a special building for a special community and we will restore this building and it's going to be a legacy of this generation for the future of our community." McDonald and others also reiterated what they've said all along about Music Hall... that they'll stand by that building and its supporters as they work to find money for repairs there. The tax is expected to generate $170 million. That will be combined with tax credits, donations and grants to fund the more than $200 million renovation. Work now begins on drawing up the public private partnership that will be used to complete the project. If Hamilton County voters approve a sales tax increase to repair Union Terminal, the work will be done under a public/private partnership. Commissioners are directing the county administrator to begin drafting an agreement to set up the public-private partnership or P3. Under this option, a private group like 3CDC would handle all the repair planning. Hamilton County Commissioners will vote Wednesday on a financing plan for repairing Union Terminal. The plan lays out a public/private partnership and is contingent on voters approving Issue 8, a quarter cent sales tax increase, in November. Museum Center CEO Doug McDonald says the public/private partnership option also means the project can get started faster and the Museum Center will be able to pay cash up front for the first few years rather than needing loans. The National Trust for Historic Preservation is stepping up its support for a local icon. 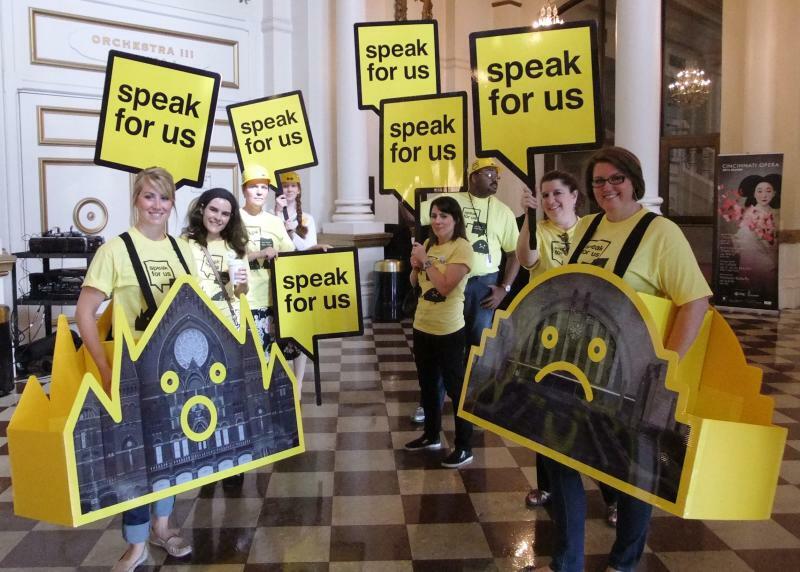 Earlier this year, the Trust named Union Terminal and Music Hall to its 2014 list of most endangered places, now it's opening an action center, or campaign office, to help the push to pass Issue 8 on the November ballot. 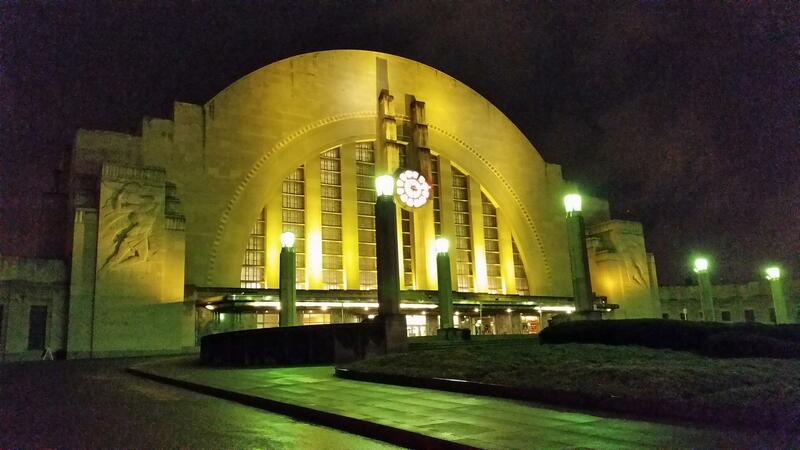 Issue 8 would create a five-year, quarter cent sales tax to fund repairs to Union Terminal. Senior field officer Jennifer Sandy says the National Trust is involved in 46 similar projects around the country but this is the first time it has opened a pop-up location. Members of Cincinnati Museum Center Board of Trustees are endorsing a five year, quarter-cent sales tax proposal placed on the ballot by the Hamilton County Board of Commissioners. The group made the announcement Friday morning during a press conference. 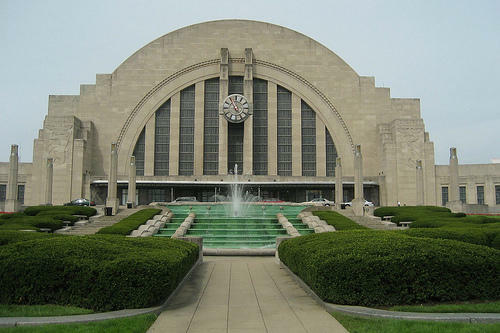 The $170 million issue will make repairs to Union Terminal. Why can't anyone put a sales tax issue on the ballot? Last week Hamilton County Commissioners decided not to put on the November ballot a requested quarter cent sales tax to repair Music Hall and Union Terminal. The move prompted a procedural question for some listeners, so I went looking for an answer. Any time I report on a possible county sales or property tax, two questions tend to come up.